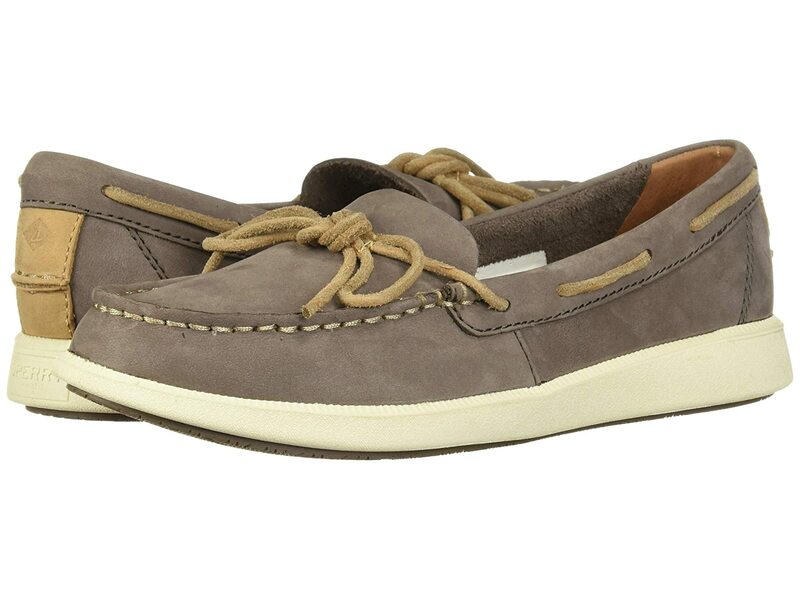 The Sperry® Oasis Canal boat shoe will take you on a trip to style paradise. 360° lacing system with rustproof eyelets and rawhide laces for a secure and comfortable fit. Cushioned EVA footbed for underfoot comfort and support. Non-marking rubber outsole with Razor-Cut Wave-Siping™ for wet and dry traction.